With the Plex Comedy Central complement, you can stream comedy shows and fun content with your Plex media server. 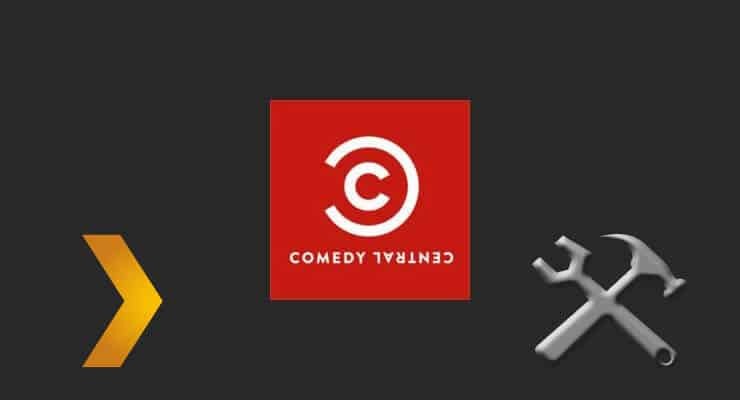 How to install Plex Comedy Central channel? From the Plex server dasboard, click on the left sidebar, on Channels. This will open a list of Plex channels installed on your home server. 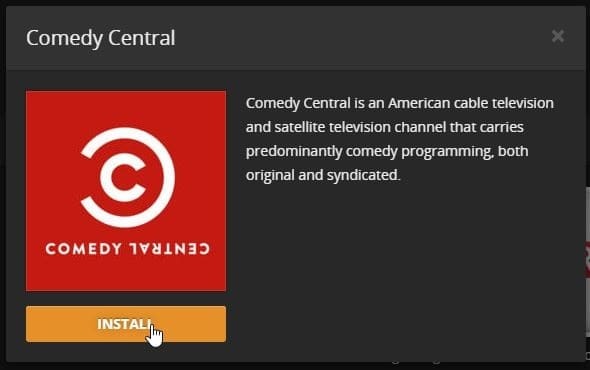 To find the Plex Comedy Central plugin, click on the orange button labelled Install channels. This will let you browse all the official channels for Plex available. Clicking the orange Install Channels button will open the list of official channels available. Click the Install button in order to add Plex Comedy Central to your home server. Wait a few seconds while the Plex Comedy Central plugin installs on your home server. When it's done, you will see that the popup dialog changes, and buttons Browse, Update and Uninstall will appear. If you click Browse, you will be able to check the content available on the addon. By pressing Browse, you will access the contents of Comedy Central channel on your Plex Media server. That's it! You are ready to enjoy comedy shows on your Plex Media Server with the Plex Comedy Central channel. If you are interested on getting more content, you can try unofficial channels, such as the Plex Icefilms Channel. If you have not configured your Plex media server yet, you can read this tutorial on how to install Plex Media server on Windows. With our tutorials, you will be able to make the most of your home server, no matter what OS or server app you choose!